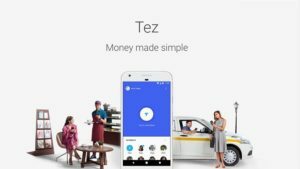 Google Is Now Entered In Digital Payments Ecosystem Of India And Make Its Debut By Launching Tez, A Payment App For Indians. Tez Help Users To Make Fast Payment Via Phone Number, Cash Mode Make It Easy For Shop Keepers And Customers To Send Or Recieve Money With A Tap. Too Secure, Too Fast, Too Handy, Great User Interference. In This Post, We Will Cover Every Part Of Tez App. First Of All Download “Tez” App From Google Play Store. It’s Available For Free. Once Installed, Open The App, Choose A Language. There Are 7 Languages Available. English, Hindi, Bengali, Tamil, Kannada, And Telugu. Choose A Language, And Click On Continue Button(Arrow Type Icon At Top Right). Enter Your Mobile Phone Number, And Click On Continue Button. If You Have Multiple Google Accounts Signed In In Your Device, Then Choose One. And Continue. After It, Google Tez App Verify Your Phone Number By Sending A One-Time Password To Your Mobile Number. Enter The Code To Verify. Enter Your New PIN, Must Be Strong. Once Your Phone Number Verified Or You Choose PIN Method, Tez App Will Open. There Will Be “Add Bank Account” Option At Top Of It. Click On It. Supported Bank For Tez App Are – Axis Bank, HDFC, Airtel Payment Bank, ICICI, State Bank Of India, Allahabad Bank, Bank Of Maharashtra, Bank Of Baroda, Andhra Bank, Bank Of India, Canara Bank, Catholic Syrian Bank, Central Bank Of India, DBS Bank, DCB, Dena, IDFC, United Bank, Union Bank, And More. Almost All Banks Are Supported. Choose Your Bank, And Choose The Number Associated With The Bank. This Will Charge You For RS. 1-2, As It Will Deduct From Your Mobile Balance. After It, Click On Proceed. Enter Debit Card Last 5 Digit And Expiry Date. Once Entered Continue. If You Enter The Wrong Number At The Time You Start Then It Will Not Find Your Account. To Change Number, Open Tez App-Menu(Three Dots At Top), Choose Settings-Click On Phone Number, Then Change Number. There Is A Round Shape Button On The Front Page Of Tez App, Which Is For Instantly Send Or Recieve Money. Tap On It, Swipe Up To Pay Or Swipe Down To Recieve. If You Invite Your Friend You’ll Get Rs. 51 For Each Referral. Open Tez App, Scroll Up From Down. Choose Offers. Scroll Down-Then Click On Invite Friends. This Offer Will Expire On 1 April 2018. You’ll Get Money If First Payment Made By Referral. Pay Someone Rs. 50 And You’ll Be Enroll In Lucky Draw, In Which Winner Will Be Rewarded With 1 Lakh. Next Drawing 24th September. When You Send Or Recieve Money With Tez App, You’ll Earn A Scratch Card That Contains Up To Rs. 1,000(Up To 10 Cards Per Week). You Can Send Money Via Cash Mode. And Also Using Phone Number, Account Number, QR, Or UPI ID. Cash Mode Has Explained Above. Open Tez App, Click On New Button. Enter Tez User Phone Number, I Think This Is The Easiest Method To Send Money Via Tez. Because Tez Will Be Link To Bank And User Can Send Money By Entering Tez User Phone Number. You Can Also Send Money Using Account + IFSC And Using UPI ID, QR, Phone. It’s So, Simple Even Secure Also Because Multi-Layer Security Is Provided. If You Don’t Want People Find You With Your Phone Number On Tez App, Then You Can Disable Discoverability. Go To Tez App Settings- Choose Privacy. You Can Log Out Also. You Can Clear Or Close Tez App Account On Your Device By Going To Tez App Settings. Conclusion: Tez Which Means Fast In English Provides A Great Fast Way To Send Or Recieve Money. I Think This Probably The Best And Fastest Way For E-Transaction. As It Also Provides Offers Or Rewards For Users. You Should Use It, It’s Secure, Made By Google. You Can Visit Tez Help Section And Site-tez.google.com. You Can Make Online Payment Via Tez Also, Like For Dish TV, RED BUS, Domino’s Pizza, Jet Airways, PVR Cinema Etc. Use Your Tez UPI ID. It Seems To Be Tez Also Available In More Countries Because At The Time Of Adding Phone Number When You Click On Flag, You’ll See More Countries- Australia, U.S., England, China. Maybe For NRIs.